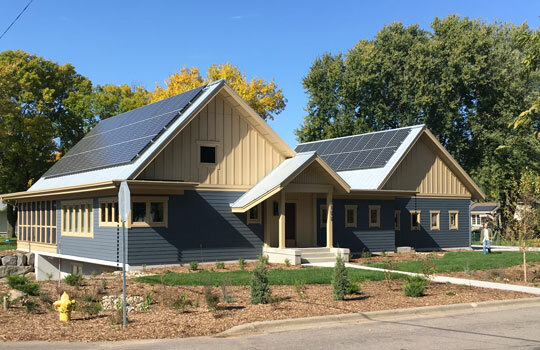 This 18.6 kW photovoltaic solar electric energy system, located in Roseville, Minnesota, was installed on a Net Zero home. 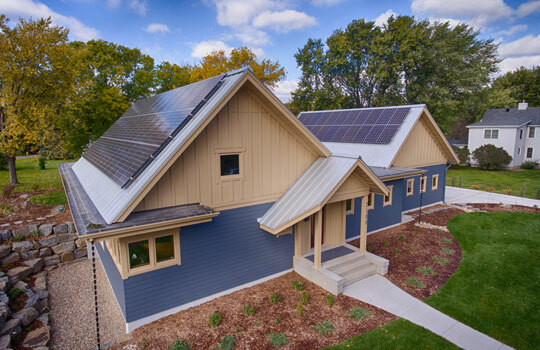 This great project completed the homeowners desire to offset all or most of their annual energy consumption. The system produces enough energy that the homeowners now are searching for ways to use more electricity! Electric cars, and more electric based appliances are next. In addition to the energy savings you’ll receive, installing solar panels can significantly increase your property’s value. Studies show homes with solar panels will benefit from a “solar premium” when they are sold because buyers are willing to pay more for a home with solar panels.